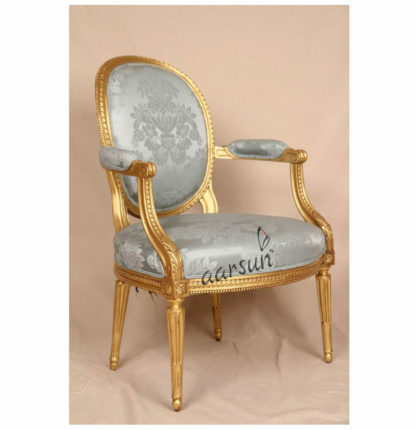 Aarsun Woods give you a handmade arm chair in traditional style. The Wooden arm chair made from teak wood with beautiful floral and petals carving. This royal chair add a traditional touch to your living area or where you want to place it. Give a style and comfort to your home with this appealing Arm chair. Add a Traditional touch to any room with our Handmade Wooden Armchair. The luxurious solid wood design with golden shiny upholstery . A lavish seat give it a warm, welcoming look in your choice of color. Give a new look to any space, this traditional chair is perfect in the living room, bedroom and study room.